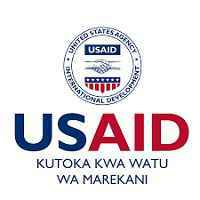 The Global Health Supply Chain Program Technical Assistance – Tanzania (GHSC TA-TZ) project, supported by the United States Agency for International Development (USAID), provides expert technical assistance to Tanzania to strengthen country supply chain systems across all health elements, e.g., malaria, family planning (FP), HIV/AIDS, tuberculosis (TB) and maternal, newborn and child health (MNCH), and essential medicines. In coordination with in-country and development partners, GHSC TA-TZ assists Government of Tanzania (GoT) by providing strategic planning and implementation assistance; improving the delivery of health commodities to service sites; providing capacity building support to broaden stakeholders’ understanding and engagement of the supply chain system; and strengthening enabling environments to improve supply chain performance. The Demand Planning Specialist will provide strategic, operational and technical leadership related to demand planning; identify and encourage the adoption of leading practices for planning and quantification; mentor and build the skills of relevant stakeholders within the Government of Tanzania (GoT) to forecast demand, and monitor supply plans that will determine the availability of HIV/AIDS, MCH, FP, essential medicines and malaria commodities; and recommend interventions to improve commodity security. His / her priorities include enhancing the effectiveness of forecast­ing and quantification for essential medicines, leveraging techniques that have successfully been applied previously in quantification exercises conducted for vertical programs, and identifying opportunities to introduce innovations and /or continuously improve processes for all programs and essential medicines quantifications. Providing expert technical assistance in forecasting of commodity needs for both vertical programs and essential drugs. Coaching stakeholders from the GoT to review and analyze supply chain implications of product selection and changes in testing, treatment, and care guidelines, and adjust supply plans accordingly. Coaching the GoT to perform pipeline analyses and monitor in-country supply levels. Consulting with project team members based in field to identify issues in data quality and availability and identifying opportunities to improve data that informs quantification exercises. Ensure timely submissions of supply plans to GHSC-PSM for all program commodity groups that the GHSC-TA-TZ program supports. Participate in routine communications with GHSC-PSM, and highlight issues that should be brought to national programs for decision making. Participate in annual work planning process and provide inputs to the operations team to budget for demand planning activities including meetings, trainings, and other activities. Complete and submit timely written technical and trip reports. Experience in and knowledge of leading practices related to strategic planning, strategic plan implementa­tion, logistics/supply chain management and or public health commodities management desirable. Ability to coach and mentor public sector stakeholders to develop strategies and manage the implementation of projects. Proficiency in common computer packages (eg.Word, PowerPoint, Excel) relevant to the work. Able to travel for an extended period of time in the country to support technical activities.